Details of our Lent Series 2011 "Encountering Jesus"
'Life of Jesus' is a free opportunity for anyone to think about the bigger issues of life by looking at the historical life of Jesus. During the series we follow an historian and pastor as he investigates the history of Jesus Christ, perhaps the most significant man to walk this earth. He shows us the places Jesus walked and the messages he gave us, helping us to think about whether and why Jesus still matters today. This fascinating DVD based series also gives you the chance to ask any question you like about Christianity, Jesus, or just anything else you feel like, although we don't promise to know everything! 'Life of Jesus' in St George’s Church. We run this and other similar opportunities to spend time thinking about life and Christianity in the future. If you would like to find out more about this or anything to do with faith, please contact us. 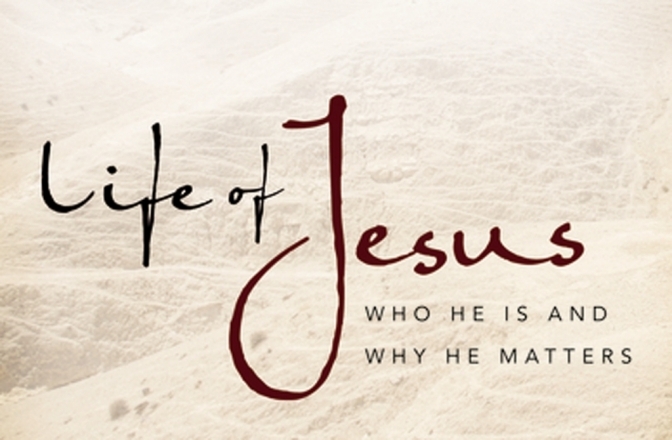 'Life of Jesus' is open to anyone, whether simply wanting to find out a little more about this amazing person, ask all the difficult questions of life, or hoping to strengthen an already existing faith. Please get in touch if you have any questions or to let us know if you are interested, or simply turn up at the time that best suits you. Here are a couple of clips to give you a taste of the course.